← A little Madness in the Spring. Penny, from series Spring Fever. 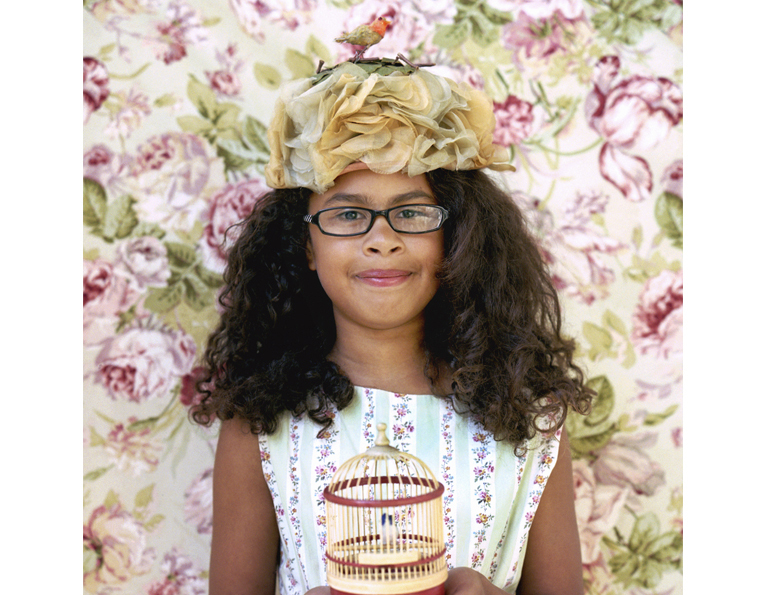 It is an honor for me to represent the talented Aline Smithson. I have had the privilege of working with her since 2006. Her work as a creative artist captures the life in and around us all with humor and love. Her commitment to the photographic community is boundless, teaching, mentoring and supporting artists in her local community of Los Angeles and all over the world. 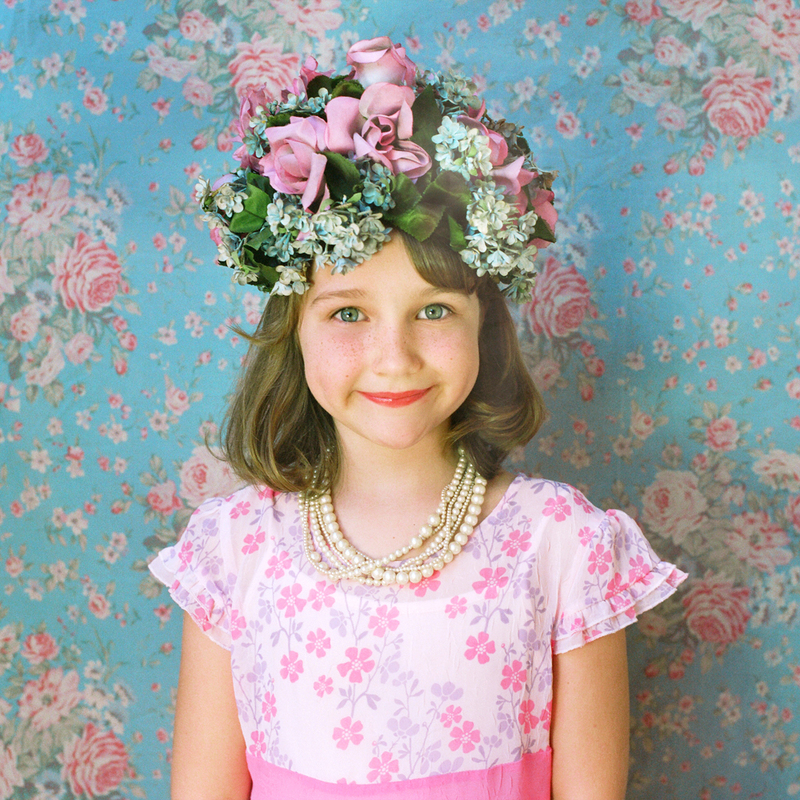 Her blog Lenscratch, started as a way to show her students the photographic projects that happen all around them has become one of the top ten photography blogs in the country. Her creativity engages us, makes us laugh, love and connect. Not only to her, but to each other as well. It is a pleasure to have one of her many creative series on the walls in our exhibition, A little Touch of Madness. Spring Fever is a take on childhood, womanhood and the optimism and possibility of the future. 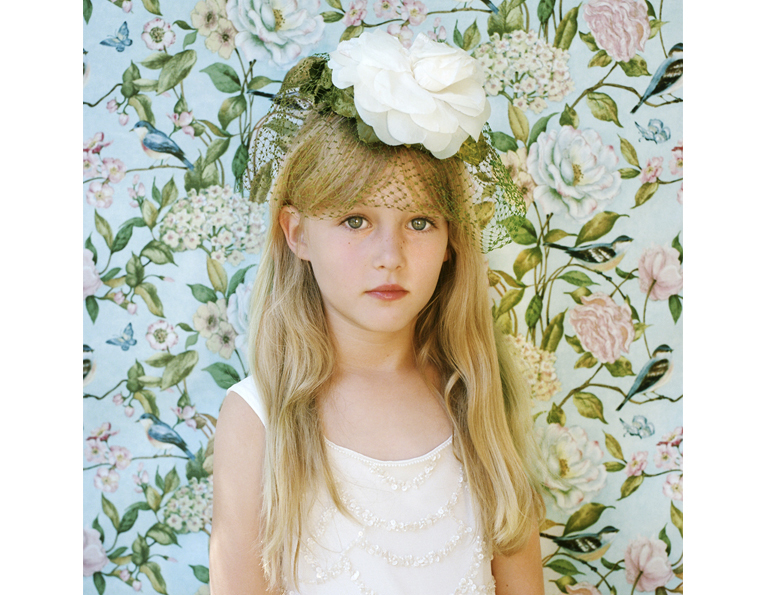 Vintage hats on contemporary young girls, holding onto the past and looking into the future. Give me the child until he is seven and I will give you the man. In this case, I give you the girl. 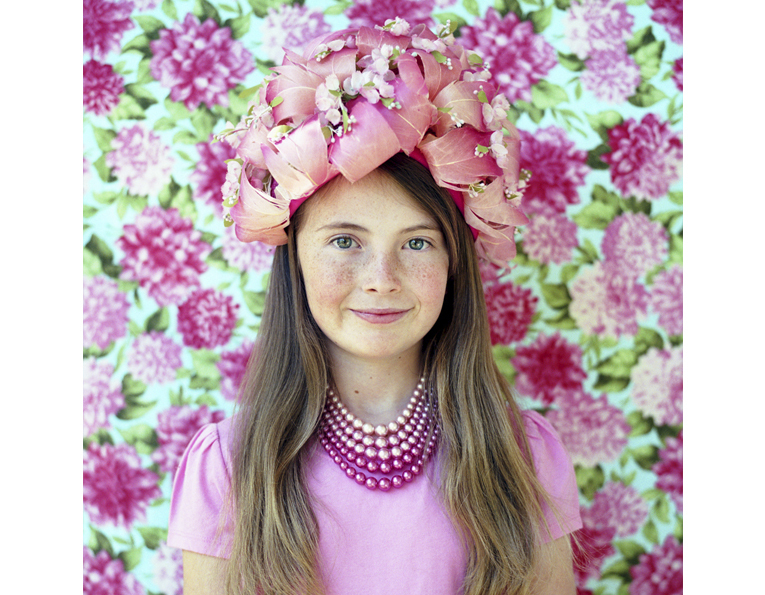 Spring Fever explores the idea of childhood and beyond, capturing 7-year-old girls wearing 1950’s spring hats. 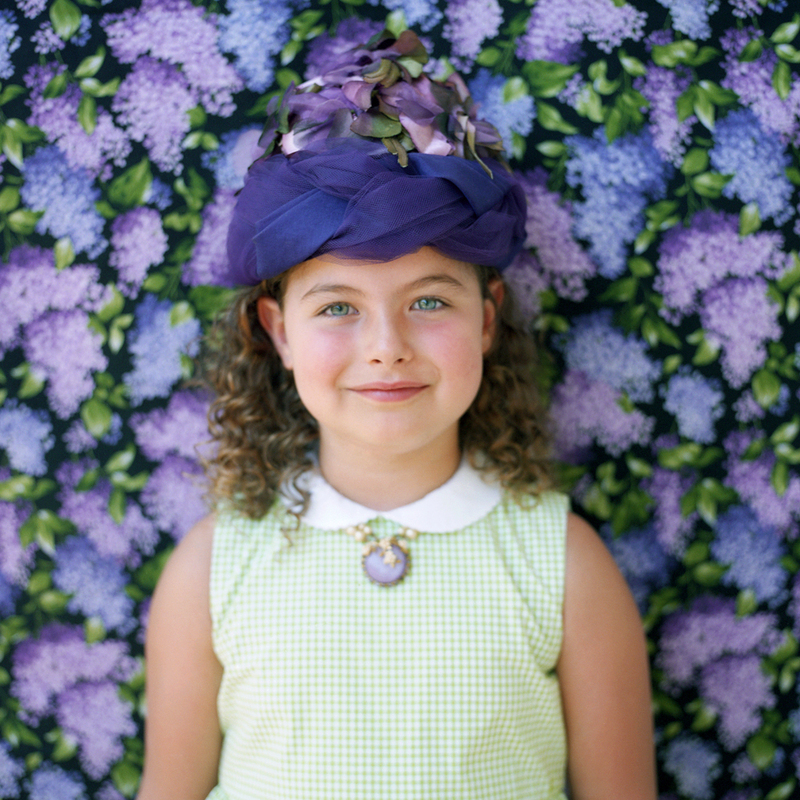 Juxtaposing hats traditionally worn by women half a century older with the visual of a child on the threshold of knowledge and sophistication allows us a glimpse into the future, and possibly a reflection of a face that wore a head full of flowers long ago. Chloe, from series Spring Fever. She has exhibited widely including solo shows at the Griffin Museum of Photography, the Fort Collins Museum of Contemporary Art, the Lishui Festival in China, the Tagomago Gallery in Barcelona and Paris, and the wall space gallery in Seattle and Santa Barbara. In addition, her work is held in a number of museum collections. Her photographs have been featured in publications including PDN (cover), the PDN Photo Annual, Communication Arts Photo Annual, Eyemazing, Soura, Visura, Fraction, Artworks, Lenswork Extended, Shots, Pozytyw, and Silvershotz magazines. In 2012, Aline received the Rising Star Award through the Griffin Museum of Photography for her contributions to the photographic community. She also was awarded Honorable Mention for Excellence in Teaching through CENTER for 2012. Aline founded and writes the blogzine, Lenscratch, that celebrates a different contemporary photographer each day and offers opportunity for exhibition. She has been the Gallery Editor for Light Leaks Magazine, is a contributing writer for Diffusion, Too Much Chocolate, Lucida, and F Stop Magazines, has written book reviews for photoeye, and has provided the forwards for artist’s books by Tom Chambers, Flash Forward 12, Robert Rutoed, amongst others. Aline has curated and juried exhibitions for a number of galleries, organizations, and on-line magazines. She was an overall juror in 2012 for Review Santa Fe, a 2009, 2010, and 2011, 2012, and 2013 juror for Critical Mass, and a reviewer at many photo festivals across the United States. Though she was nominated for The Excellence in Photographic Teaching Award in 2008, 2009, 2010, and 2011 and awarded an Honorable Mention in 2012 and was nominated for The Santa Fe Prize in Photography in 2009 by Center, she considers her children her greatest achievement. Aline is also a founding member of the Six Shooters collective. 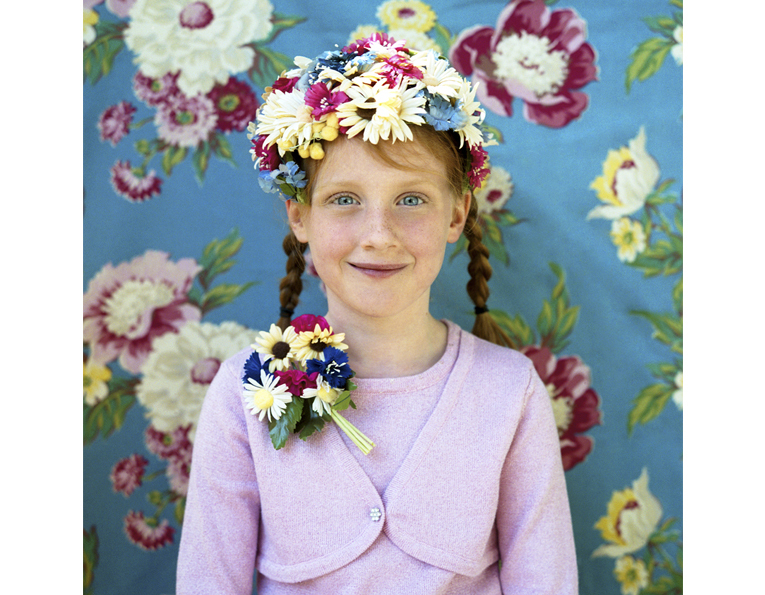 For more information on Aline Smithson or to request a portfolio of images, please contact Crista Dix at the gallery at 805. 637. 3898 or via email.